Looking for things to do in Dubai in the summer? You've come to the right place. 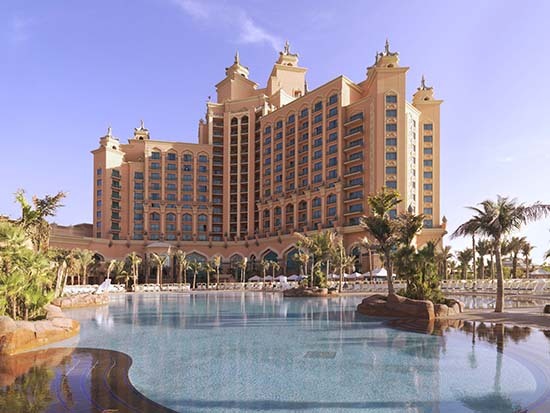 Nowhere on earth does luxury hotels like Dubai – take your pick from lofty skyscraper suites in Grosvenor House, extravagant beachside boltholes in the swanky Jumeirah Zabeel Saray, or an indulgent slice of Dubai’s iconic Atlantis the Palm. But if you can’t afford the five-star price tag, summer is your chance to live the dream on a limited budget. When the mercury soars, hotel prices drop – so you can get a three-day break for under £400, including airfares. Summer is ‘low season’ for Dubai’s hoteliers, so they’ll do their utmost to get your business, often throwing in freebie spa treatments, upgrades and complimentary kids’ activities too. We’ll take all three, thank you. You’ll only need swimwear, shades and a couple of cover-ups in your suitcase – so what can you use all that luggage allowance for? Shopping of course! 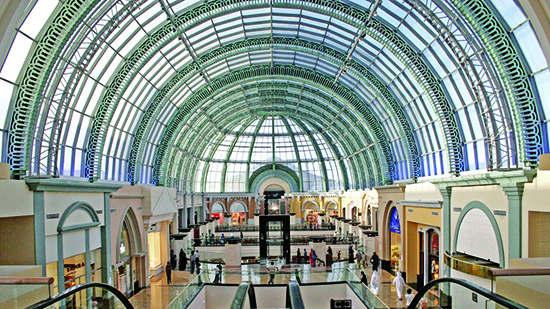 Summer is the best time for bargain hunting in Dubai: all of the malls knock down their prices, so your UAE Dirhams will go further than ever before. 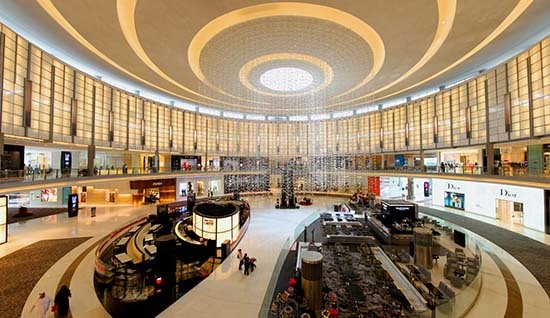 Cram your bags with designer goodies in Dubai Mall (the world’s biggest shopping mall), international fashion and food in Mall of the Emirates, and artisan jewellery on Jumeirah Beach Walk (a gorgeous beach-side street). Better yet, all of the sale clothes will be summery styles, so you can audition your new Dubai wardrobe there and then. Family-friendly Dubai really goes the extra mile during summer, with free festivals and events for children all over the city. In shopping malls, you’ll find kids’ clubs and impromptu entertainment galore – look out for balloon artists, puppet shows and pop-up theatres. 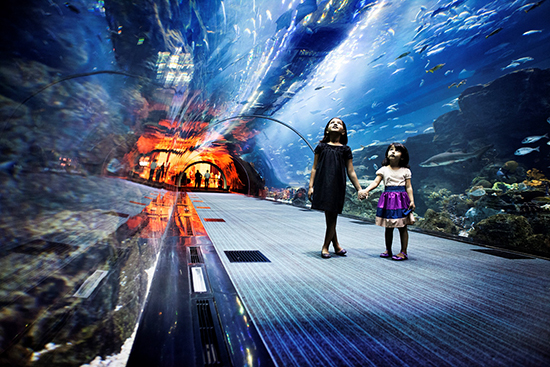 Spy special summer deals at all the main family attractions, too: discounted entry to the likes of Dubai Aquarium and SEGA Republic (Dubai Mall), Magic Planet adventure park (Mirdif City Centre), and Aquaventure and the Lost Chambers (Atlantis the Palm hotel). This is the most sacred time of year for Muslims and the perfect opportunity to immerse yourself in the local culture. 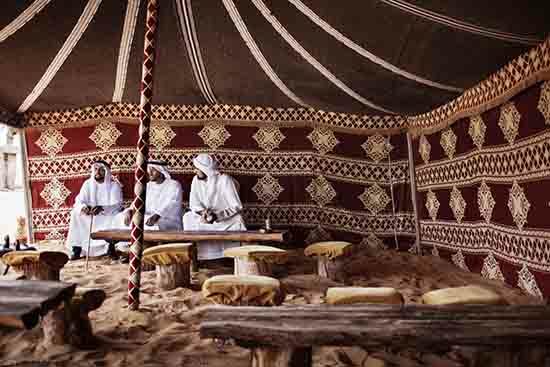 The brash, boisterous side of Dubai gives way to a calmer, more generous character – instead the focus is on family and forgiveness. If you’re after a more relaxing city break, now is the time to travel. 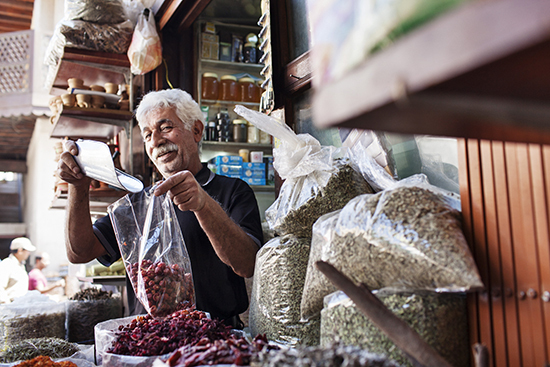 During Ramadan, Muslims fast during daylight hours – but don’t worry, as a non-Muslim you’ll be able to eat! Come nightfall the fast is broken, giving way to lavish feasts in every hotel which you’ll be very welcome tuck in to. Expect generous spreads of Middle Eastern cuisine – lamb biryanis, hummus, falafel, shish kebabs, salads and more – washed down with mint lemonade and a puff on a shisha pipe. 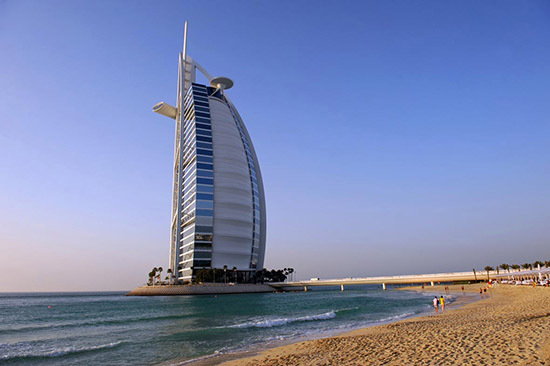 Dubai’s population is mostly made up of expats and the majority of them head home during summer. The city slows down with the hotter temperatures and Ramadan, so they take advantage of the break – leaving the city’s main attractions, restaurants and hotels nice and quiet. So now’s the time to make the city your own… Dine in Dubai’s best eateries, get the best seat in the IMAX cinema, ride at the front of Aquaventure’s rollercoasters and bag the shadiest spot in the hotel pool. Of course, the beach is too hot for most sunbathers, but come nightfall you can swim in the warm sea (it feels like a bath!) and gaze up at the moon and glittering Dubai skyline. When you see that view, you’ll wonder why everyone else skipped town. 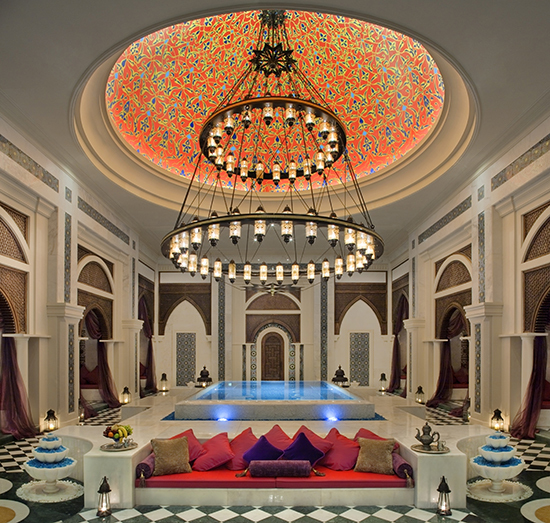 If you love pampering, you’ll love Dubai. It’s got spas to suit every style, taste and budget – you’ll find beauty treatments ranging from the sublime (full-body massages with Arabian rose-oil) to the ridiculous (real gold leaf facials – yes, really). When it’s really hot outside, it’s time to book a full day at the spa: a full-on body indulgence that’ll leave you preened and pampered like never before. You hotel will inevitably have a spa of its own, but why not shop around too? Even if you can’t afford to stay at the most luxurious spot in town, you can still sample the spa for the day at the hotel of your dreams. Expect bubbling hot tubs, rainwater showers, cosy relaxation rooms, glassy swimming pools, and treatment lists as long as your arm. With luxury like that, who cares if it’s scorching outside? So you’ve spent all year moaning that your sun-starved body will never see daylight again – now’s your chance to change that. If one thing’s guaranteed in a Dubai summer, it’s that the sun will shine, the sky will be cloudless and you won’t see a drop of rain! You’ll have light, bright and fabulous days, while the nights are sultry and tropical too. Sure, you’ll get hot – really hot – if you venture out of the shade for long, but isn’t that what you came on holiday for anyway? 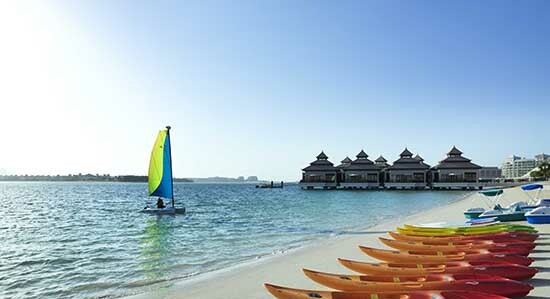 Keep hydrated, follow all of the usual sun protection rules, and embrace the fun-loving Dubai attitude. You’ll have the summer holiday of a lifetime. Whether it's flights to Dubai or Dubai holidays you're after, give our Experts a call and get your summer holiday sorted with Flight Centre.